Today is a day where we honor our fallen or Einherjar. Many of amazing people have sacrificed their all not only for this country, but our ancestors who were slain on the battlefields as well. 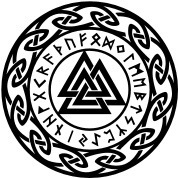 This is where one of my many strong connections to Odin and the Einherjar come into play as I am a Veteran myself, seeing my friends come home and some who didn’t come home standing on their own two feet. Today we honor the slain warriors of past and present. For today I feel the Einherjar are especially training for the day Ragnarok comes, and when night falls they will feast and drink as much mead as the Valkyries can hand them. Honor our current generation of war fighter who have fallen and joined the ranks of the Einherjar. 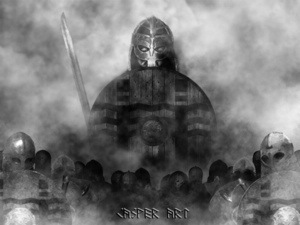 Today we honor the values the Einherjar abide by, courage, honor and duty. HAIL OUR GENERATIONS WAR FIGHTER! HAIL THE ANCESTORS AND THE GODS! This entry was posted in Germanic Pagan Religion, Heathens in the Miliary, Posts by Asfridr and tagged Asatru, heathenism, Heathenry, heathens in the military, norse mythology, pagans in the military, veterans day on November 11, 2013 by asfridrgodardsdottir.